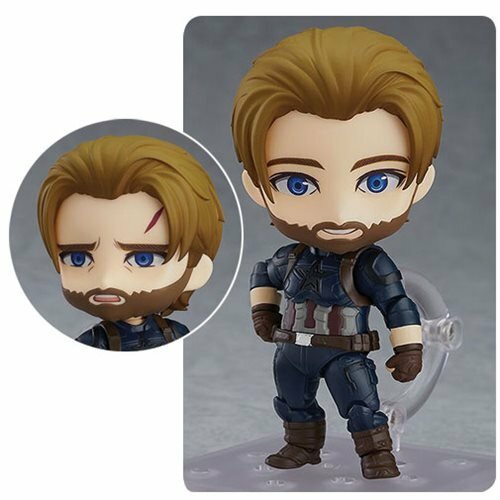 This first Nendoroid from Avengers: Infinity War is none other than Captain America! 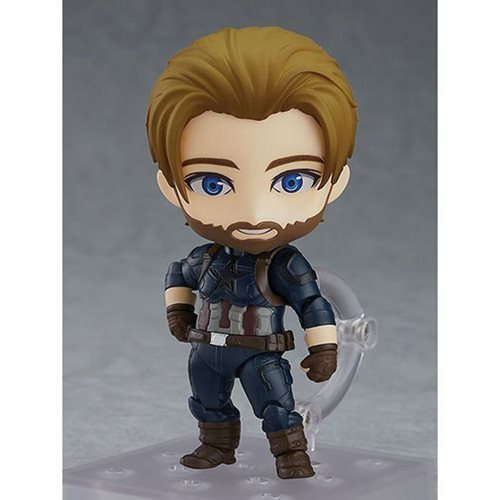 The 4-inch tall Avengers: Infinity War Captain America Deluxe Version Nendoroid Action Figure is dressed in his Infinity War outfit, which unlike past costumes, features a dark color, rolled up sleeves, and his mask removed. 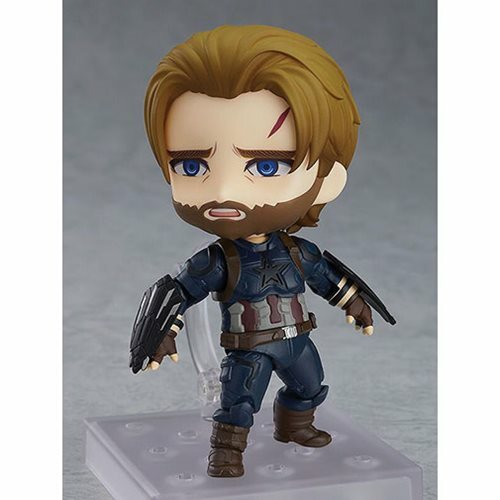 Cap comes with multiple face plates for a variety of posing options, and you can swap out his forearms to add his shield to capture his iconic appearance in the film. 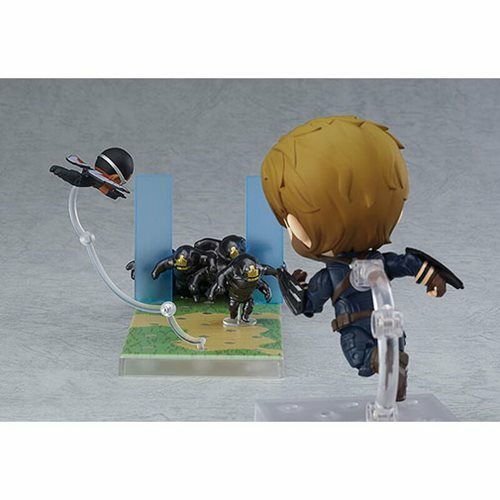 A Wakanda-themed base and parts to recreate a vignette of the Outriders pouring through the gap in the shield at the Battle of Wakanda are included, together with a single Outrider part for closer combat scenes. There's also a miniature-sized Falcon that can be attached to the base using a special support arm. 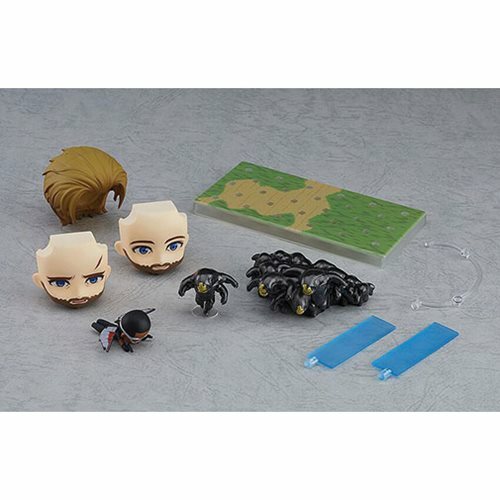 Recreate the epic events from the movie right in your Nendoroid collection!